The National Institute on Alcohol Abuse and Alcoholism (NIAAA) has been doing some laboratory research on treating alcohol abuse and heavy drinking with anti-drinking drugs. The research laboratory setting is designed as a dimly-lit bar with the purpose of triggering the drinkers; desires to drink; this is helpful in determining if the experimental drugs can counter their urges to drink. It is estimated that nearly 17 million Americans abuse alcohol at some level. The National Institutes of Health (NIH), the nation’s medical research agency, is driving the search for new drugs as a means to solve the addiction cycle, as current methodologies of treatment seem lacking in a treatment therapy with uniform workability. 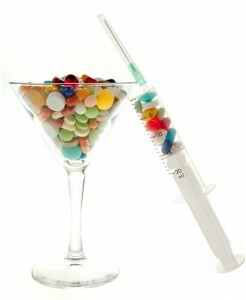 The research is also to determine which drugs work best with which drinkers. Lead researcher Dr. Lorenzo Leggio, cites the simulated bar environment as a strictly controlled “almost real-world environment”. He is testing how the hormone ghrelin—a hormone that stimulates the appetite for food—also affects the person’s desire for alcohol. Part of the testing involves determining if blocking the hormone helps in blocking/diminishing the desire for drink. According to Director of the National Institutes of Health NIAAA, Dr. George Koob, “alcoholics come in many forms”. Based on this premise, the research protocol seeks to validate the workability of different anti-drinking drugs for different drinkers. The NIAAA cites genes as a factor in vulnerability to alcohol abuse, noting that environmental factors play a part as well. The agency cites “low risk” drinking in men as no more than 4 drinks per day, and not more than 14 drinks total per week. For women, “low risk” is identified as no more than 3 drinks daily, and no more than 7 total per week. The Food and Drug Administration (FDA) currently approves three drugs to treat alcohol abuse. The firt drug is Naltrexone, which acts to block the feel-good sensation from alcohol consumption. The second approved drug is Acamprosate, an anti-craving drug which acts to diminish stress-related chemicals in some people. The third drug is Antabuse, which acts to trigger nausea and other aversive-type symptoms if a person drinks alcohol while taking it. There is recent research on other drugs that are commonly used to treat other conditions, but are regarded as showing promise in a drug approach to treating alcohol abuse. Gabapentin, an epilepsy drug, was found by Scripps Research Institute scientists to reduce relapse in recently-quit drinkers. It also seemed to improve sleep, mood, and alcohol cravings. Chantix, an anti-smoking drug, may reduce cravings in heavy drinkers, according to an NIAAA study. Topiramate, another epilepsy drug, was found by University of Pennsylvania researchers to help some heavy drinkers cut-back on their alcohol consumption. Lead researcher Leggio is now testing the use of an experimental Pfizer drug which was originally developed for diabetes, but did not go on the market. The main goal of this study is cited as ensuring that the drug can safely be mixed with alcohol. According to Koob, the anti-drinking drug researchers hope that in the future, they might be able to determine which drug to give which alcohol-abusing person based on a simple blood test. When one understands that overcoming substance abuse and alcoholism ideally means to be free from dependence on a chemical substance, it becomes apparent that trading the dependence on alcohol for a dependence on an anti-drinking drug is not freedom from chemical dependency. While an anti-drinking drug might give some relief or some reprieve, it does not address the underlying reasons that caused the person to turn to drink in the first place. In addition, it does not address the accumulated damage to self and others caused by continuing to over-indulge in alcohol. Long-term rehabilitation offers just that—the opportunity to change your life.